Your lawn should be a place of relaxation and enjoyment. Lawn Care Plus can take the chores out of your lawn. Our programs will help you grow lush and weed-free turf with minimal maintenance required! Who knew cutting grass could be a science? While it may not be taught at CU, the expertise to maintain a healthy lawn has a lot do with the knowledge in managing a yard. 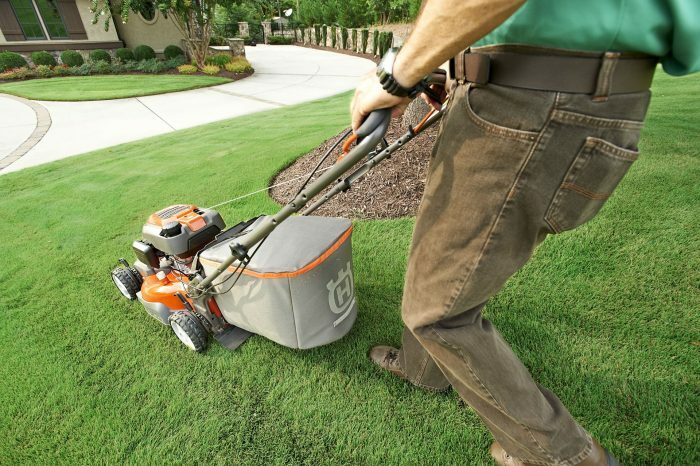 Using the right equipment means a healthier blade and ultimately a healthier lawn. 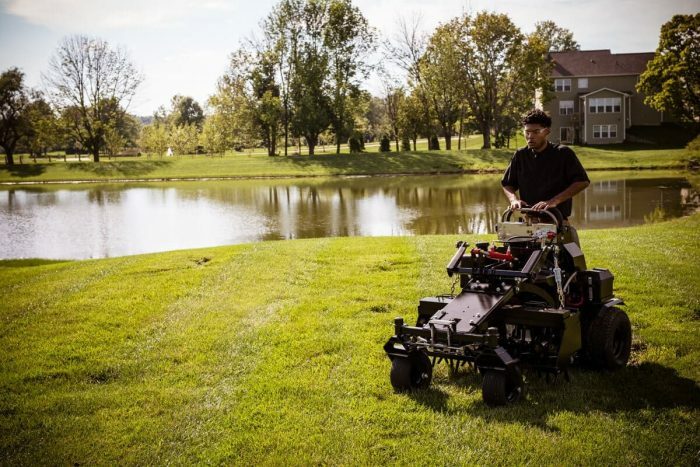 Hiring experts leaves your lawn looking professionally groomed. And hiring an expert means we will be on and off your property quickly and efficiently leaving you more time to relax in your beautiful backyard. Each week, our trained professionals mow, trim, edge and clean clippings off all hardscapes to keep your lawn looking its best! *We do NOT bag clippings, grass clippings decompose quickly and provide a source of recycled nutrients and organic matter for the lawn. Irrigation is one of those things that by all appearances can look quite simple. However, a wrong installation can mean thousands of dollars flushed down the drain, poor drainage resulting in rot and sometimes upsetting positive neighborly relations. Our many years of experience in water management, repairs and installation provide you and your lawn with proper and effective systems. 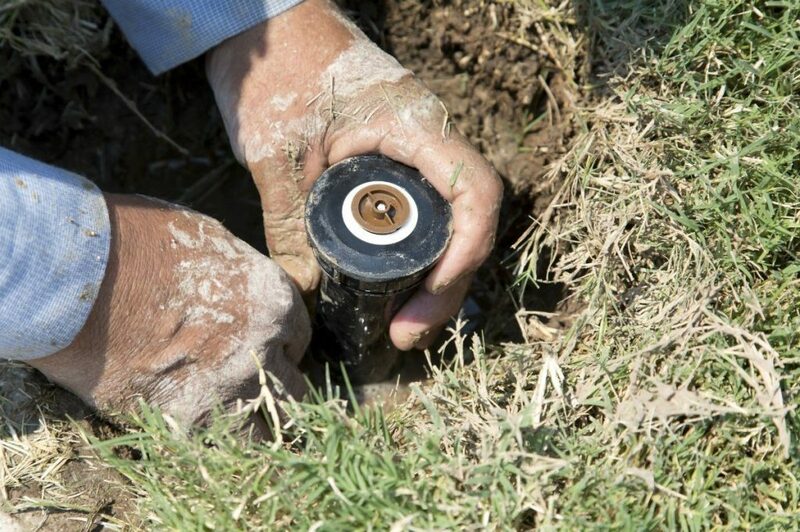 With water a precious commodity these days, our trained staff sets your sprinkler controller, selects proper sprinkler heads/ nozzles, and makes the correct adjustments for proper water management and water savings. Smart Irrigation starts with knowing your equipment. We are the area’s leading experts when it comes to well planned sprinkler systems. Your lawn may need more food than you would think. 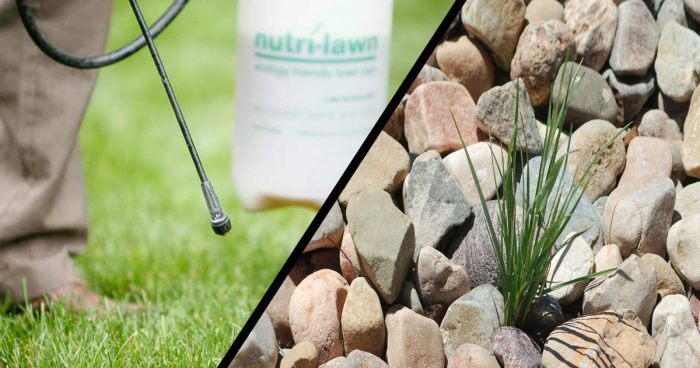 Box store and big name fertilizers are high in ammonia and sulfates which leech out quickly, leaving your lawn nutrient deficient and contributing to fertilizer runoff issues. 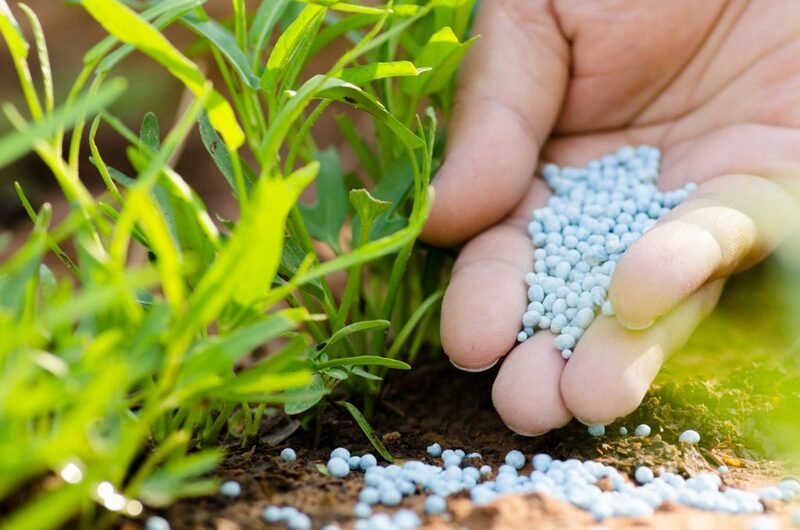 Lawn Care Plus uses only low ammonia (<5%) fertilizers that contain a guaranteed minimum of 65% organic materials. Our fertilizers last longer, limit ecological impact, and provide targeted results for your lawn! Each season Lawn Care Plus orders custom blends of specific nutrients to feed your lawn exactly what it needs for the season, nitrogen (N) in the spring; potassium (K) and iron (Fe) in the summer, and phosphorous (P) in the fall. Of course, it’s a bit more complex than that, so check out our Fertilizer Information page for the details! Everybody despises those pesky and unsightly invaders that can spoil your lawn and landscape appearance. Unwanted weeds are a natural enemy to most homeowners, but we must accept that they come with turf (pun intended)! Lawn Care Plus is one of a select few residential lawn maintenance companies certified by the Colorado Department of Agriculture for herbicidal applications. We have the know-how and the experience to battle back all of your worst weed nightmares. From Aster to Wormwood, and everything in between (even bindweed and goatheads), Lawn Care Plus can tackle the whole alphabet of weed species. Place an order through the links below or call us for specifics! Colorado soils are typically high in clay content, low in water-retaining loam content, and are subject to baking rock hard during the summer sun. Seasonal aeration is an undervalued necessity for maintaining a low-cost, beautiful turf. By breaking up the soil each spring and fall, the turf roots are able to grow deeper and stronger; irrigation and precipitation are able to penetrate deeper; and oxygenated soils promote microbial growth, encourages thatch breakdown, and develops a holistic system to recycle nutrients and improve the humate layer – the layer of organic matter in soils and composts. Aeration is important in the spring and fall and should not be overlooked. Find out more here!